Havells to double biz in AP, TS . Havells India Limited, which is into electrical products space, is looking to double its business in Andhra Pradesh and Telangana over the next three years. Hyderabad: Havells India Limited, which is into electrical products space, is looking to double its business in Andhra Pradesh and Telangana over the next three years. “Last fiscal, the company has clocked a total turnover of Rs 250 crore in the two Telugu states and our aim is to take this to around Rs 500 crore in next three years,” Pankaj Vassal, Regional Head, AP & TS, Havells India, told The Hans India. The company, which has 17 business verticals in fast moving electrical goods (FMEG) space, has clocked double digit growth in two states during the first six months of the current fiscal. “But we are aiming for 30 per cent growth over the next three years,” he said. Currently, Havells India has 8-9 per cent market share in Rs 3,000 cr electrical products market in both states. “We are slightly stronger in north and eastern part of the country. South is a market where we are tremendously focused as it offers opportunity to grow,” he said. According to him, the company is doing well in fans, lighting and building electrical products. In addition to that, we are also clocking good growth cables and wires. The Noida-based, Rs 8,500-crore company which has presence in over 50 countries is optimistic that the new capital city being built by Andhra Pradesh will drive the growth of the sector in that state. “We are expecting announcements about big construction projects during the foundation stone laying ceremony on October 22. We are equally positive about opportunities in Telangana,” he said. To expand its network, Havells India is planning to open eight new exclusive outlets under the brand 'Havells Galaxy' in AP and TS. At present, it has 20 such outlets apart from a large number of dealers. 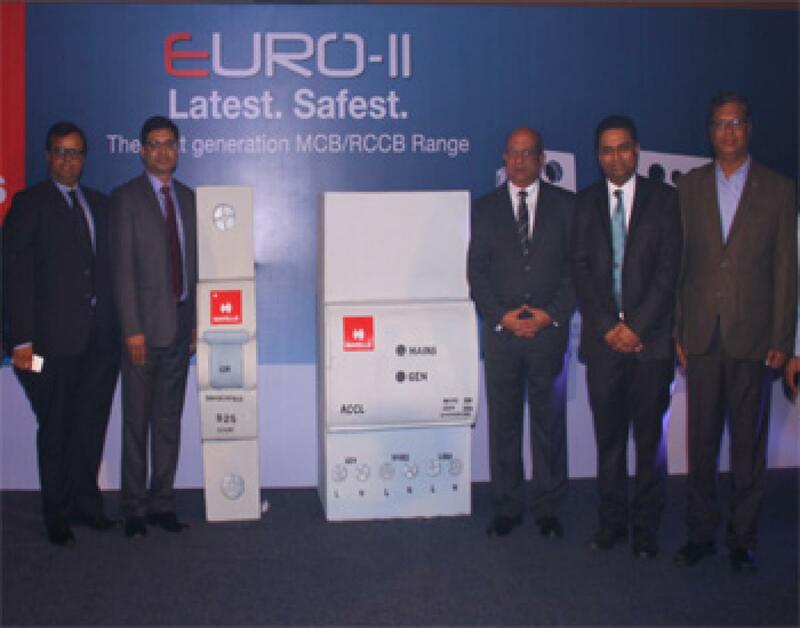 Meanwhile, the company has launched new switchgear products in the two states on Tuesday. The products, which include Automatic Changeover with Current Limiter (ACCL) and MCBs (Miniature Circuit Breakers), are designed, developed and manufactured in-house. "The launch of innovative range of switchgear products is a part of our overall growth strategy to not only strengthen our presence in the Indian switchgear industry but also fortify the country’s position in areas of innovation, manufacturing, and technological advancement," AV Jagdish,Head of Switchgear Segment, Havells India.